From our early years as a market research firm through our evolution in 1991 into an asset management firm, our guiding principle still rings true: High-Quality Stocks + High Dividend Yield + High Dividend Growth = Potential for High Total Return. 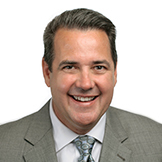 Hi, I’m Keith Thompson, Northeast Division Director at Miller/Howard Investments. I’m here to talk about how our firm got started and how it has evolved. Miller/Howard actually started out as a research firm. In 1978, at age 30, Lowell Miller published his first investment book, The Momentum Gap Method. The Hirsch Organization named it "Investment Book of the Year." Soon after, Lowell met Dr. Mike Howard, a specialist in inertial navigation systems — literally a rocket scientist. After reading Lowell's book, Mike said he could write code that would identify patterns in data to turn Lowell's philosophy into a useable investment approach. Years before the internet, the work these two were doing with computer algorithms and data was so unique and valuable, it drew the interest of prestigious clients. Miller/Howard began selling proprietary research tools to companies like Templeton, Soros, Cigna, FedEx, Hughes Aircraft, Delta Air Lines, and others*. In the early 1990s, a client asked the firm to research income-producing equities as an income alternative to bonds. At the time, Lowell thought that the most logical place to look was utilities because they had the highest and most persistent dividends in the market. He and Mike conducted a first-of-its-kind longitudinal study of the utilities market as an asset class, based on the Dow Jones Utility Index. Their landmark study netted surprising results. Over a 45-year period from 1945 to 1989, utilities returned just over 14 times more than US government 20-year bonds, with dividends reinvested and adjusted for inflation, and they distributed substantially more income. Few investors were even looking at utilities as a place to make money. Yet during that 45-year postwar period, utilities performed nearly as well as the S&P 500, but with about half the volatility. This marked a turning point for our firm, and it's where our love affair with dividends, including but going well beyond utilities, started. Launching our first investment strategy based on that initial research, we evolved from researchers to asset managers, and Miller/Howard Investments was born in 1991. Mike Howard left the firm soon thereafter to pursue scientific research. We continue to manage portfolios and still see value in the utility sector. But we've taken these lessons learned from managing in one higher-yielding group and applied them across the market, so that today our flagship portfolios cover nearly all sectors. We favor companies that offer recurring-revenue business models, and ones that provide essential goods and services. We look for financially sound companies that will pay dividends in all market conditions, and that demonstrate potential to raise dividends over time, which often raises the value of the underlying stocks. We continue to integrate environmental, social, and governance (ESG) analysis with financial standards when making investment decisions — as we have since day one. We still emphasize learning from academic studies, and still engage in rigorous original research and analysis—just as we did in the beginning. But the tried-and-true formula that is the foundation of Miller/Howard Investments' philosophy will always remain the same: high-quality stocks plus high dividend yield plus high dividend growth equals potential for high total return. That's our story, and we're sticking to it. * The clients mentioned were formerly subscribers of our research service. These clients were not chosen based on any selective criteria other than the fact that they were subscribers. It is not known whether or not they approve or disapprove of Miller/Howard Investments Inc.